When the Yankees opened their new stadium and pinstriped stars like Derek Jeter and Mariano Rivera ran onto the green grass for the first time, the cheers of delirious New York fans echoed for miles. 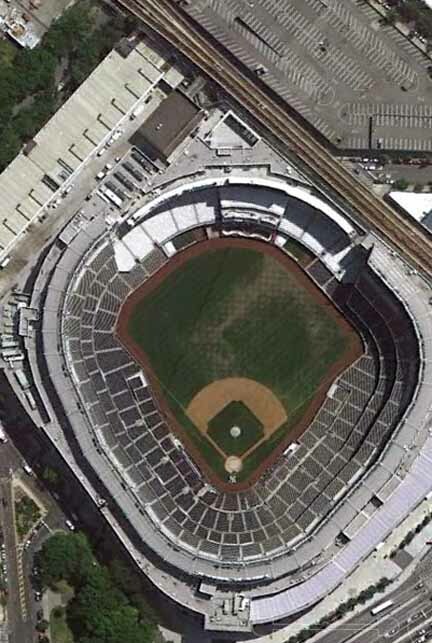 But to environmentalists and residents in surrounding neighborhoods, a Bronx cheer seems a more appropriate response to the new Yankee Stadium project which they say isn’t nearly green enough, grass notwithstanding. The high-rolling Yankees have long led the major leagues in financial clout, and New York’s new $1.3 billion home looks like a license to print money. Front-row seats sell for a Ruthian $2,500 each and some fans are committing to season ticket plans for as long as ten years. But don’t expect to see parks advocates lined up with them at the turnstiles. They and some of the stadium’s Bronx neighbors are furious at the Yankees and the city for building over 22 acres of public parkland and cutting down 377 mature trees, 70 percent of the local tree population in a poor area that already had a sky-high asthma rate. Critics cite among their grievances the secretive nature of the city’s deal to allow the Yankees to pave over popular Macombs Dam and John Mullaly parks, which was negotiated and signed before the public was informed, they said. Protests and legal actions against the project were unsuccessful. As part of the deal, the Yankees and New York City promised to replace the lost open space with multiple parks that will be individually smaller but greater in total combined acreage. 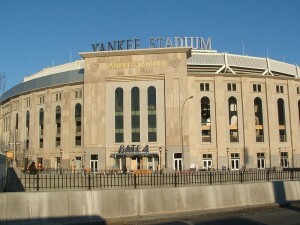 For instance, the old Yankee Stadium will be demolished to make room for the new Heritage Field, which will contain three fields for baseball and softball. The roof of the new stadium’s parking structure will be the new seven-acre Macombs Dam Park, home of a running track, basketball courts and fitness equipment. Other parks will have tennis courts, picnic areas, play equipment and green space. Some are already open, though construction has taken longer than expected at others. Heritage Field has suffered the greatest delay, and now looks to open in 2011. Too little, too late, say park advocates. Also maddening is the delay in tearing down old Yankee Stadium, especially when the Mets left their old park at the same time and tore down Shea Stadium (making room for a new parking lot) before the start of the 2009 season. Yankees executives finally vacated their old offices in late January. “They’ve managed to build a whole stadium for 52,000 people and all these restaurants, and they couldn’t build a little park or two? That’s kind of curious,” Argenti said. Yankees representatives declined to comment, but the city is working to get the replacement parks open quickly and in the best possible condition, Laird said. To replace the lost trees, 8,000 new trees will be planted, said Laird, who also defended the use of artificial turf in some replacement parks, another move that raised environmental objections. When the Yankees broke ground for the new stadium on Aug. 16, 2006, team owner George Steinbrenner, Mayor Michael Bloomberg and Governor George Pataki attended the event in hard hats. They never heard a few dozen protestors chanting “Save our parks,” kept far from the ceremony by police. 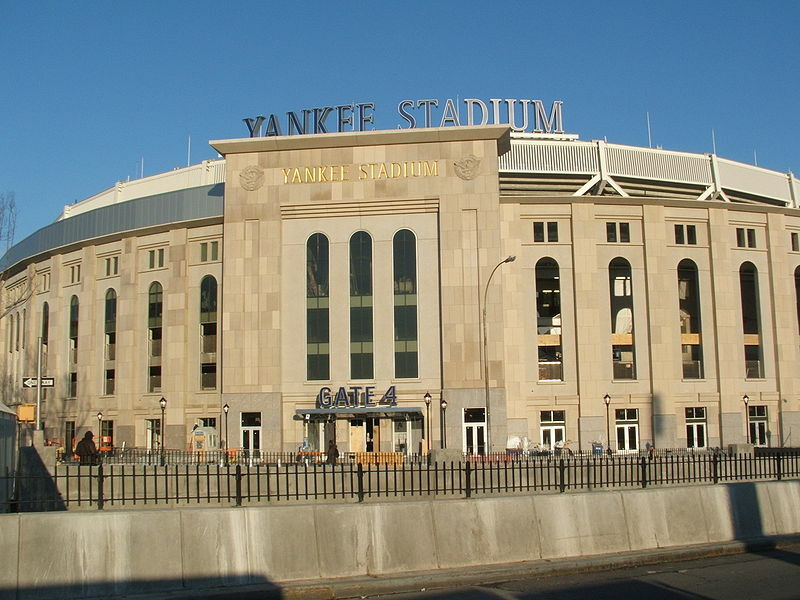 To stadium opponents, that episode encapsulates the whole story of new Yankee Stadium: powerful business interests getting their way with the help of politicians who disregard the community interest. In contrast, the Mets were far more considerate, Argenti said. “Recycling runoff, the Mets are doing it. The Yankees are not. The only thing Yankees did was agree not to use Styrofoam cups,” she said. “Bloomberg has spent so much time and money on public relations, trying to get the city and people to believe that he’s this environmental mayor. That’s really laughable,” Croft said. His final word on the people who pushed the project forward? “They’re lowlifes,” he said. “They really are.” Damn Yankees?